With its breathtaking beaches and stunning island scenery that looks like it was pulled right out of a travel magazine, the Dominican Republic is a coveted vacation destination. But before you depart for the DR, there are some important things to know about the required tourist cards. What is the Dominican Republic Tourist Card? 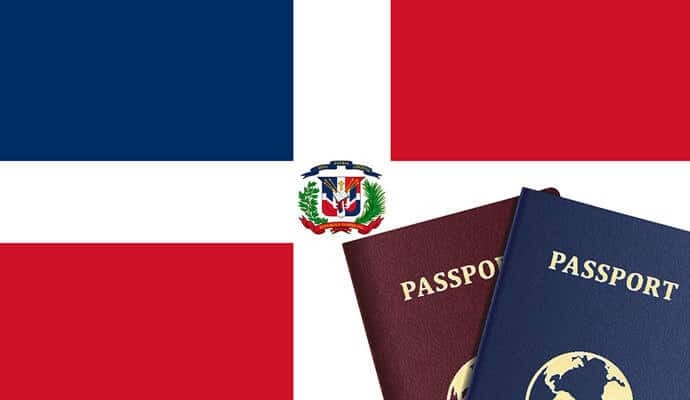 The Tourist Card for the Dominican Republic is a visitor tax launched by the Dominican Republic under Law 199-67 which makes the acquisition of a Tourist Card necessary for tourists to enter national territory without the need for a consular visa. It is issued to allow tourists from eligible countries to enter the Dominican Republic for a period of thirty (30) days. Until recently this card was obtained through online application or by going to an embassy or consulate. However, this has all changed as there have been some new regulations for tourist cards in the Dominican Republic. President of the Dominican Republic Danilo Medina issued Executive Order 430-17 which mandates incorporating the tourist card fee of US$10 into the airfare cost. While this was supposed to be effective from January 1, 2018, it only became widely implemented four months later. As of April 2018, Dominican Republic tourist card entry fees are incorporated into airfare. This means that the fee for entry into the country which was previously paid upon arrival at the airport will now be included in your airline ticket. This is great news for a lot of travelers as it means no more worrying about having a ten dollar bill ready at the airport, and it spells an end to frustrating hours spent in long, long lines for those who didn’t have the exact change. All in all, this new regulation will serve to smooth over the arrival process in the Dominican Republic. However, people entering the DR by land or sea, or even those who obtained their tickets prior to the implementation of the new regulations (before May 2018) will have to complete the online application form and provide details of valid travel documents or passports. The tourist card is electronically issued and valid for one year from the date of issue. Once used, it allows for stays of up to 30 days but this can be extended at the General Directorate of Migration in Santo Domingo. Any visitors wishing to extend their stay in the Dominican Republic should request an extension. Failure to do this will subject them to a surcharge upon departure at the airport. The charge is assessed on a sliding scale and ranges from US$30 to $500 depending on how long the stay was. The DR Tourist Card doesn’t allow the holder to take part in paid activities while in the country. If you wish to travel to the Dominican Republic for business then you will need to apply for a Business Visa. What are the requirements for applying online? To apply for the Dominican Republic Tourist Card online, you need a valid passport, email address, and a payment method (debit card, credit card, or PayPal). Do minors need a tourist card to enter the Dominican Republic? Minors traveling to the Dominican Republic for tourist reasons from eligible countries are required to apply for a Tourist Card. Whether they have their own passports or they are included on a parent’s passport, they have to have their own tourist card. How long does it take to process a Dominican Republic Tourist Card? For those traveling by air, this is now something that happens automatically with each purchase of an air ticket into the Dominican Republic. For those who are traveling by sea or land, however, once your application is complete, your card will be processed within 24 hours. You will receive the approved tourist card in your email as a PDF. As a general rule of thumb, if you are a foreigner wishing to enter the Dominican Republic for tourist purposes then, in addition to a valid passport, you need a tourist card visa. This is now easily accomplished for those traveling into the country by air, but those traveling by land or sea still need to apply online.